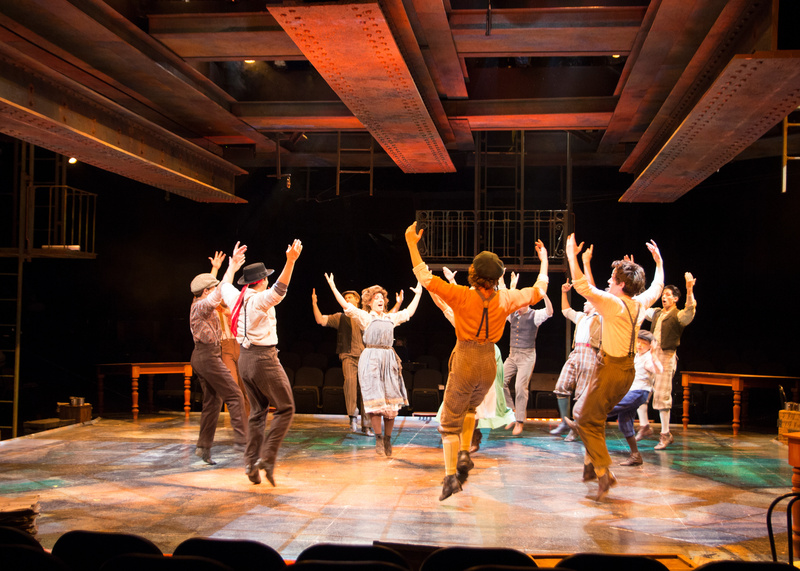 For Marriott Theatre Lincolnshire’s production of Newsies, we created several 25’ long I-beams. They had to look like real steel I-beams, but had weigh less than 700 pounds. 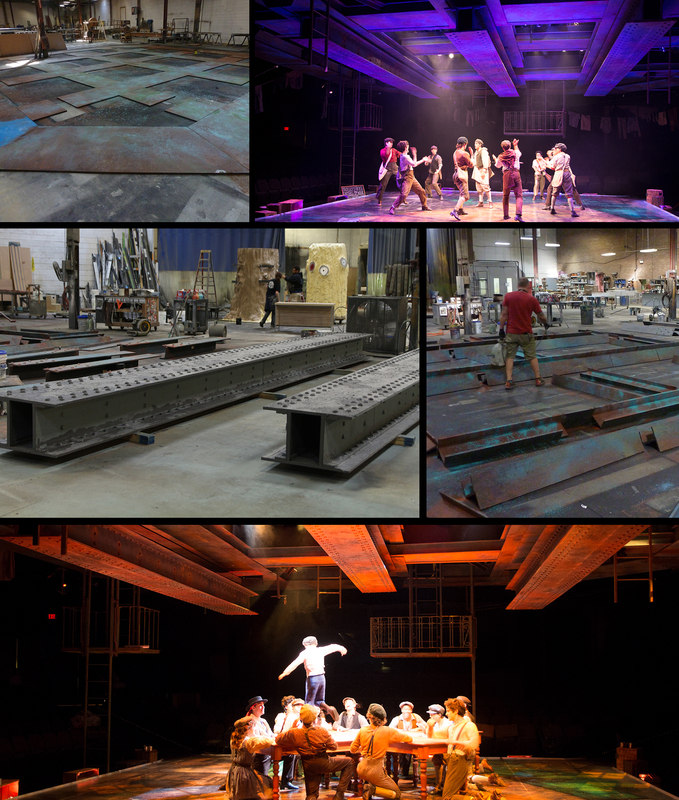 They also had to be rigid and light so they could pivot on two points above the stage and strong when they dropped down to the stage so actors could dance on them.